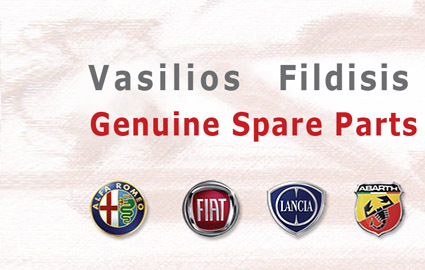 We have any genuine spare part for ALFA ROMEO, FIAT, LANCIA and ABARTH vehicles you might need and we can send it anywhere in Greece. Products are delivered to the address you have indicated to us either by courier or the Hellenic Post Office (ELTA). The orders are delivered within 24 to 72 hours. Orders exceeding 90 euros are delivered FREE OF CHARGE in the mainland and the islands. For Athens: all orders -regardless of the total amount- as well as Special Offers for Service and Lubrication Service are delivered FREE OF CHARGE. You have the right to return purchased products within 10 working days of receipt. In this case, you will be charged with the cost of returning products. Returns are accepted only if the merchandise you wish to return is in the same condition it was delivered to you, i.e. without any unsealed or violated packaging. Also, when you return the merchandise you have to return the receipt or invoice too. To avoid your own discomfort and the return of the merchandise, we need you to quote the chassis number of your car any time you communicate with us and especially when placing an order. Finally, the refund of your money will be completed within 10 working days after the date we receive the products.